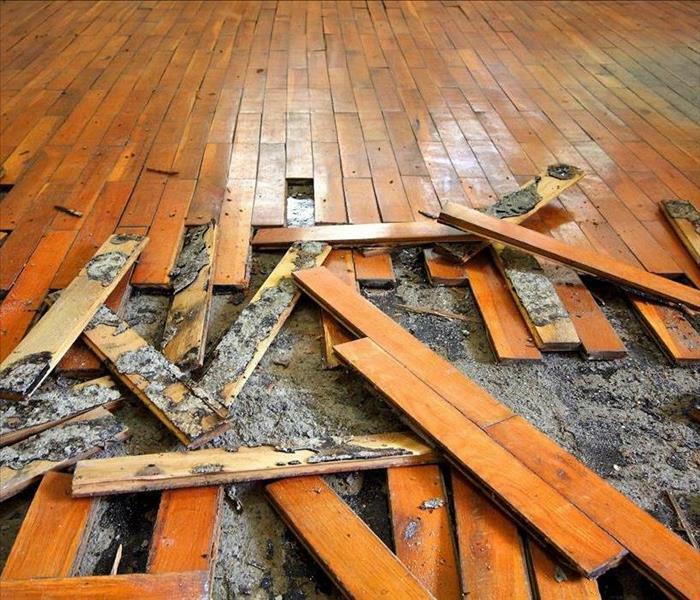 When a commercial property in Mickiddyville, OK, sustains water damage from a pipe burst or from flooding, wooden floors often get wet as a result. There are several steps you can take to preserve wooden floors. After the flow of water has stopped, removing the water and drying the area is one of the first things you can do to keep your building’s floors from becoming warped. A wet floor can be hazardous to a business’s employees and customers, making the removal of water exceptionally important. Additionally, a wood floor and the subfloor can absorb water and become swollen if water is left to sit for an extended period of time. Whether the water damage was caused by a leak, a pipe burst or a broken appliance, it’s important that water does not continue to damage the floors and the surrounding areas. Before you can be certain that further damage won’t occur, you need to identify the source of the water. Once the cause of the flooding has been identified, it’s also often helpful to fix the leak or the break that caused the issue, and if the issue cannot be fixed immediately, turning off water in the building can be a useful short-term solution. Even if water is not actively flooding an area in your business, your wooden floors still have the potential to become warped. High levels of humidity or wet items that are left on top of floors can increase the likelihood of your floors becoming swollen. Water damage restoration professionals can often assist in keeping your floors consistently dry by using dehumidifiers and other powerful equipment. A flood or pipe burst doesn’t necessarily mean your business’s floors will sustain damage. Quickly drying the floors, finding and fixing the cause of the damage and keeping the area dry can help you protect your business’s wooden floors. It isn't uncommon for properties to have distinctive smells. Think of the difference between stepping into a dentist's office versus a legal firm, for example. Some aromas are just a reflection of the work that goes on within the building, such as in a flower shop. Additionally, environmental factors influence the smells within a building. However, a musty odor shouldn't be dismissed as the result of a rainy day. That distinctive odor could be carrying a mycotoxin. It's interesting to note that some of these aroma-making substances are used in the production of perfumes, such as 1-octen-3-ol. However, this fact shouldn't prevent you from hiring a mold remediation specialist if you notice the scent in a closet on your property. These professionals will probably run a few different tests to determine the extent and severity of the problem. 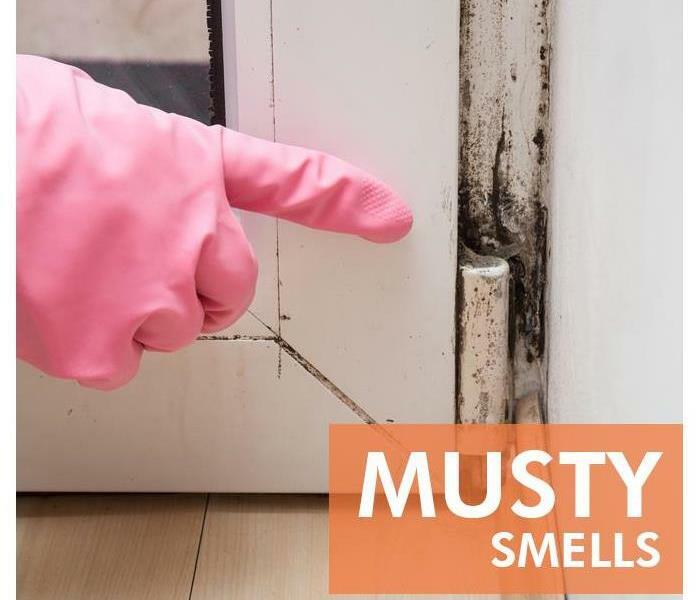 They are likely to test for MVOCs, or Microbial Volatile Organic Compounds, often a primary source of that musty odor, and for high humidity levels, a source of mold growth. With the information from these tests, the specialist will create a mold remediation plan that probably involves reducing moisture levels in trouble spots, completing repairs around your property, and initiating preventative strategies, such as HEPA filtration devices. It's important to remember that a given mycotoxin may produce smells without presenting any real impact on building occupants. As you work closely with mold remediation technicians in Lexington, OK, you'll learn more about why mold causes odors and how to prevent further growth. When looking for a restoration company in Slaughterville, OK, there are a number of features you may want to look at including the ability to be faster to any size disaster. Choosing the right company for your property's restoration needs can make a difference. Here are some things you may want to consider. 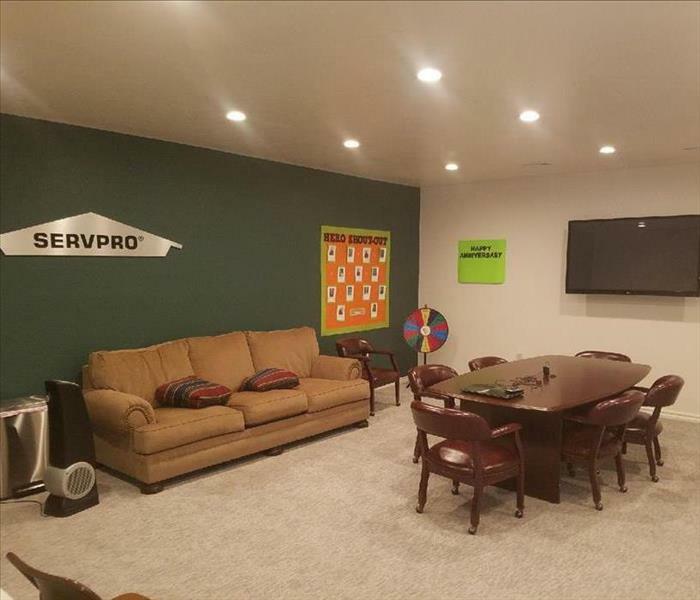 Many professional restoration services like SERVPRO offer the ability to work with multiple damage types. This is often because one type of damage can lead to another. For example, fire put out by water can also result in mold if the water is left to stand too long. Most restoration companies can help fix smoke and fire damage, water damage, storm damage and also offer mold remediation for this exact reason. Being faster to any size disaster also means arriving with the right materials and equipment required to do the job. 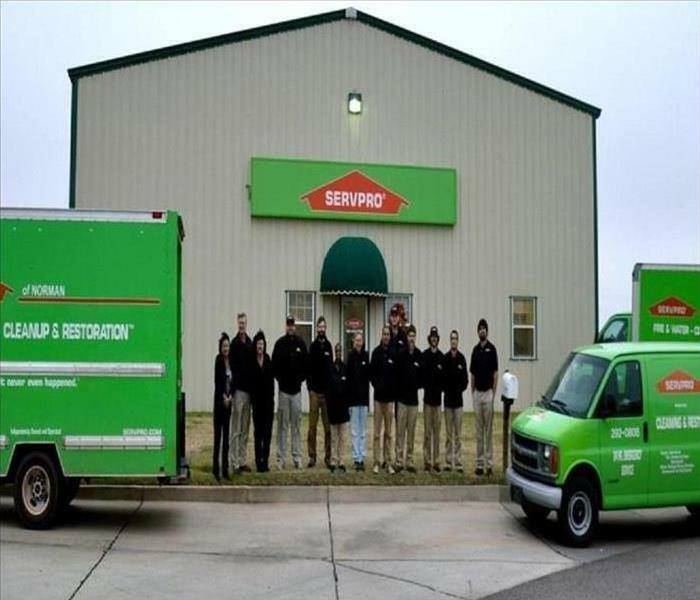 Locally owned franchises such as SERVPRO have locations across the country allowing them to be where they need to be when disaster strikes. Because they are a franchise, they also have access to corporate equipment and materials, which gives them the ability to handle large-scale jobs as well. A restoration company such as SERVPRO also offer a variety of services designed to help your agent process the insurance claim. These include an electronics inventory service as well as an online database that provides access to information such as photographs and progress reports for the damaged areas, estimates, filed paperwork, and many other details needed for a properly filed claim. Whether you're choosing a restoration company because they have the ability to be faster to any size disaster, or they can deal with multiple damage types, you may also want to look at the other services they provide. Many companies can help you clean your damaged items as well as the structure, and has services they can offer which can make keeping track of the details needed by your insurance provider easier. There’s nothing worse than returning home from your vacation to find your belongings water damaged. Water damage is one of the most common homeowner’s insurance claims and much of it happens when people aren’t there to stop it. Before your trip, learn how a water pipe repair or other small steps can keep your Hall Park, OK, home from being flooded. While there’s not much you can do after the fact but clean up, there are a few steps you can take beforehand to reduce the odds of a watery outcome. Pipes are natural culprits for leaks, so checks yours out if you’re leaving for more than a day or two. Check under your kitchen and bathroom sinks as well as in your laundry room. 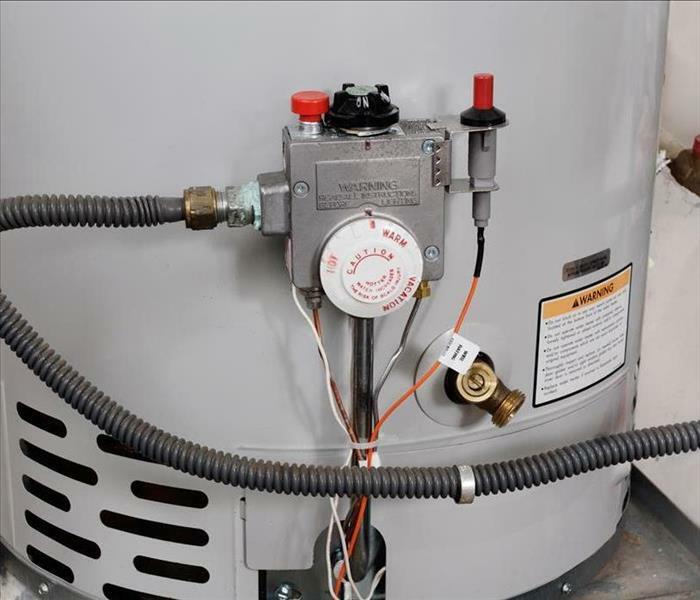 Wherever you see drips or excess condensation, make a water pipe repair before you go. Take time to look at the hoses to your washing machine, refrigerator and other water-using appliances. If you find a kinked or damaged hose, replace it. Sump pumps are a lifesaver, but only if they work. Look over your sump pump and listen to the motor for any sounds of malfunction. Filling the sump pit and running the pump to clear debris is also a good idea. As much as a trip can reduce stress, coming home to water damage can induce it. Just one water pipe repair or hose replacement can reduce the risk. Use these tips and more from your local water damage specialist to keep your home front dry while you’re gone. Rivulets of water form as steam condenses on a cold window. The floor absorbs water after the dishwasher overflows, disappearing between gaps in tiles. The bathroom stays humid during all types of weather. Water seeps slowing at the base of a cement wall in the basement. Snow melts into the eaves after rain gutter damage. Each of these situations presents an opportunity for black mold to take hold in a Eason, OK, home. 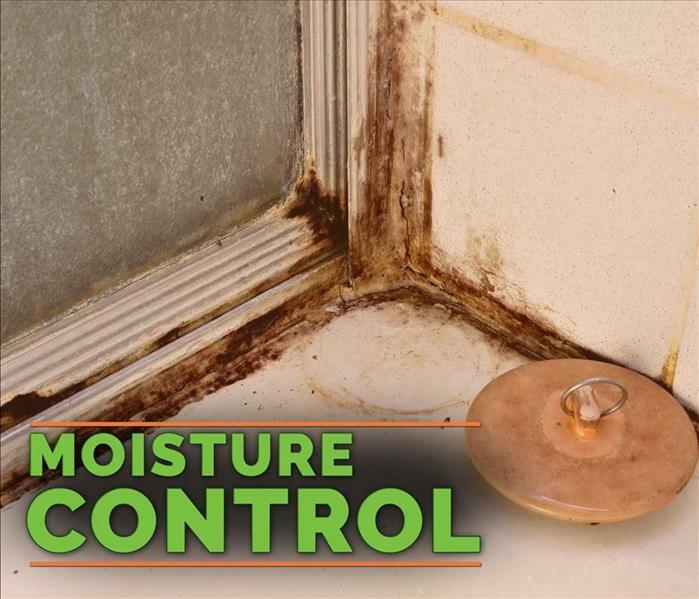 Control moisture to control mold. An appropriate solution requires mold cleanup and resolution for the moisture problem. Water-damaged areas must be thoroughly dried with 24 to 48 hours. When you understand these three facts, you are well on your way to preventing black mold from affecting your home and belongings. How Does Mold Get Into Your Home? Molds occur naturally in just about any environment. They play a vital role in nature, breaking down organic matter, including fallen leaves, dead insects, and toppled trees. In your home, however, mold is usually the result of a moisture problem. Tiny mold spores float into the air and get carried into homes on breezes, clothing, shoes, or pets. When the spores land on wet surfaces, they quickly embrace their new living environment. Some places are difficult to keep completely dry. A couple of examples of these areas include the bathroom and the laundry room where water is constantly introduced. The best way to solve this problem is to increase ventilation in the rooms and to clean more frequently. Don't forget to peek under sinks, behind and underneath appliances, and in the corners of the room. Throughout your entire home, immediately fix any leaks or water problems. You don't have to suffer the effects of black mold in your home. Mold cleanup and remediation professionals in your area have additional tips and advice concerning how to best protect your home. When storm restoration is needed, SERVPRO can help! A strong storm can damage a large area in a short amount of time. When residential clients need storm restoration services, it is in their best interest to choose a company that responds to their call for help quickly and provides all the information they need for insurance claims. By choosing a company that has broad corporate resources and a reliable local franchise in Etowah, OK, homeowners can save both themselves and their insurance company money. The earlier storm restoration begins, the less chance there is of secondary damage to the home in question. A company that's Faster to Any Size Disaster saves time and money by limiting the amount of remediation that has to happen. The CIC is a helpful tool for homeowners and insurance adjusters. As soon as the flood damage is assessed and an estimate of the total cost for restoration is created, the report is stored in the corporate database. When the customer file is accessed, all the information needed for the claim is right there. The adjuster can use it to corroborate his or her inspection. The homeowner can use it to get a complete list of the items that need to be replaced or repaired and how much the process is going to cost. A comprehensive report of the damage gives the insurance company the information it needs to process the claim in an efficient manner. When storm restoration is needed, it doesn't need to be delayed. A company that responds quickly and provides a detailed account of the problem is helpful to both the homeowner and the insurance company. 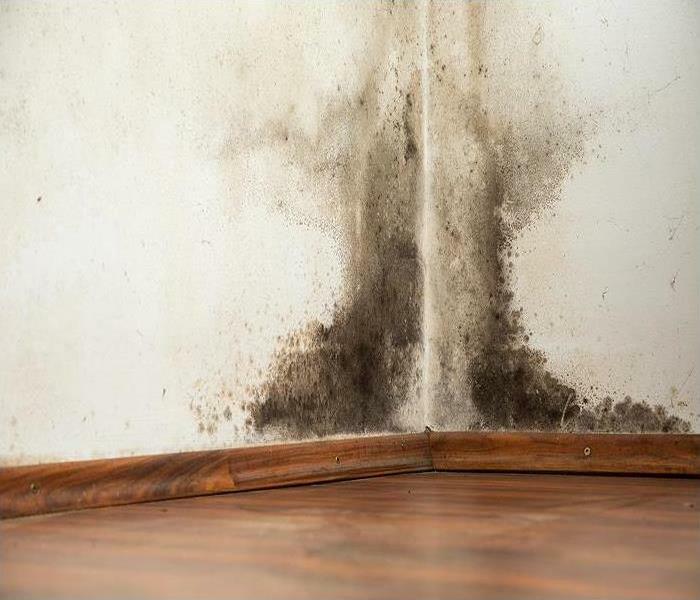 As many Norman mold removal experts know, the fungus can pop up in any region of the home that has the ideal combination of high humidity and warm temperatures. For this reason, bathrooms will often develop rings of black mold referred to as mildew. In the event of a water-related disaster such as a flood, the homeowner's entire wall can be overtaken by the fungus. This process is possible because mold grows quickly and can consume almost any form of organic matter for food. Although flooding can generate a mold infestation, this is not the only cause. Plumbing leaks can cause an unwanted infestation between floors and behind walls. These types of household water issues can also cause a mold growth inside kitchen cabinets, attic sheeting, and walls. Although you may be inclined to handle a mold issue on your own, it's important to know that you cannot eliminate the fungus on your own. First of all, most property owners lack the training necessary to eradicate the fungus without exposing themselves to health and safety risks. Additionally, Norman mold can start to thrive between floors and in drywall. These are regions of the property that most laypeople do not have the capacity to access and repair. Finally, most property owners do not have the equipment necessary to eliminate truly a mold infestation quickly and correctly. These are just some of the ideas why the remediation process should be left in the hands of the professionals. If you suspect that mold has begun to live on your property, it's time to call the professionals of SERVPRO of Norman. Our IICRC-certified technicians possess the skills and equipment necessary to eradicate the unwanted fungus with lightning speed. In addition to offering mold remediation services, we assist our clients with any water, fire, or smoke damage they may experience. We're ready to help you now, so contact us for more information at (405) 292-0808. Each spore can potentially reproduce thousands of others on its own, which is why mold colonies often grow out of hand quickly. Most Americans know that mold is a fungus, meaning that it reproduces and functions in a very different manner from other forms of life. It does not mate, as animals do, or pollinate as a plant does, or split into two copies as other microorganisms do. 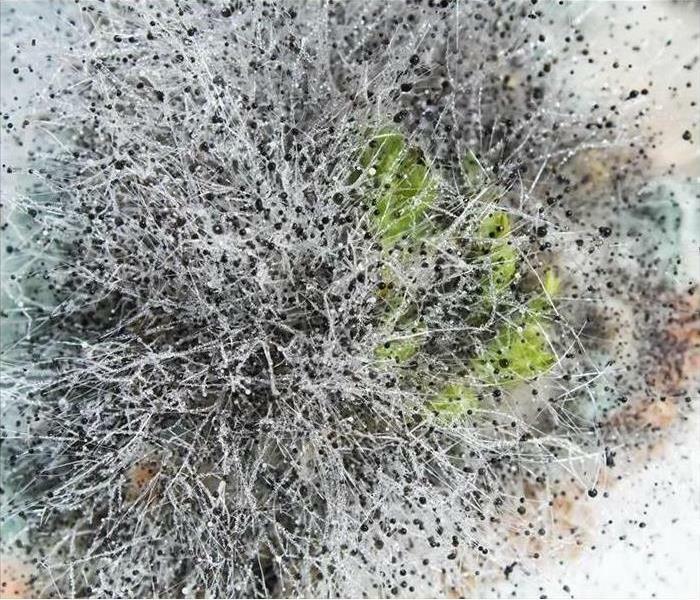 Instead, mold engages in a complex and unique reproduction cycle that allows its young to spread far and wide, endure harsh conditions, and lay dormant for years until conditions are ideal for growth. The primary growth sequence in mold's life cycle, the period of hyphal growth is also the beginnings of its reproduction. This is also when mold damage in Hall Park, OK will first become visible. During this time, a tiny, microscopic nucleus will begin spreading outward, developing a web or stalk of spindles which will later be used for reproduction. During this phase, the mold needs an organic food source, which may be anything from left-out food to a wooden stump to the building materials of your home. On the ends of the webs/stalks formed during the hyphal stage, spores begin to grow. These may be asexual or sexual in nature, but their function and structure remain largely the same: a small, bush-like bunch of spores will begin to grow, eventually reaching maturity. Upon reaching maturity, spores are released and carried by wind or animal to another location. In many cases, they will end up on the same food source, starting the growth of a colony. According to our SERVPRO professionals, spores can often last for many years through extreme conditions, waiting for the right time to begin growing. Once these conditions exist, the spore begins once again the process of hyphal growth. Each spore can potentially reproduce thousands of others on its own, which is why mold colonies often grow out of hand quickly. SERVPRO of Norman is a certified and trusted local source of home restorations and mold remediation services. An early sign of mold damage may be a mysterious white patch somewhere in your home. If this or some other type of mold damage hits your home, don't hesitate to contact us at (405) 292-0808. Roof damage can be a significant cost for businesses. Roof damage can be a significant cost for businesses and one that can be avoided with vigilant and routine inspections. 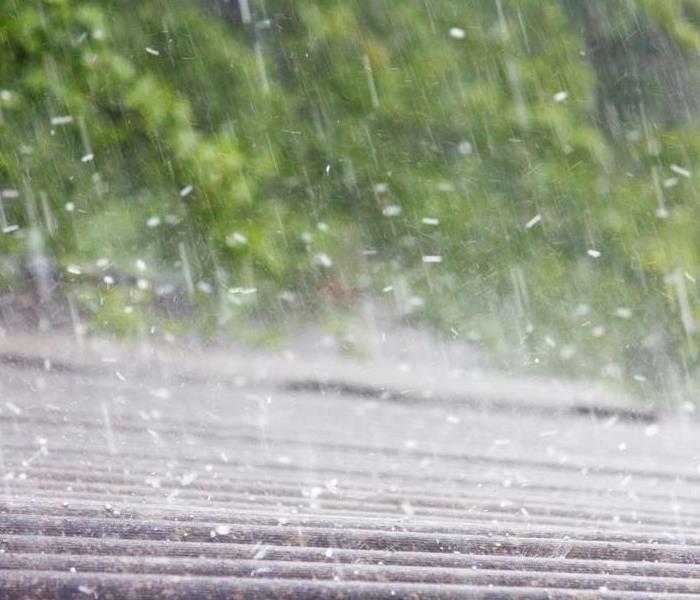 While many companies are likely aware of the potential for damage after a storm, they may not be as aware of the threat a hail storm poses to their roof. Hail comes in a variety of sizes and weights, and these ice balls can do lasting damage to your roof if not mitigated early. The most apparent signs of hail damage to your roof are broken or missing shingles. Hail stones can either create small divots in a shingle, or they can completely fracture and even break a shingle free of the roof altogether. While missing shingles are not significant causes of roof damage, torn or missing underlayment can be. When a shingle is broken or missing, it can lead to the exposure or wearing away of the underlayment. Tattered or damaged underlayment can lead to water damaged sheathing. Sheathing is the wood boards that cover over your attic joist. These boards are your last line of defense against the outside. If your shingles and underlayment are damaged, then your sheathing is exposed to rain and other elements. Depending on the size of hail, it can severely damage your sheathing through both impact and melting. When the roof barrier is compromised, it leaves insulation and your attic space potential exposed. This exposure can lead to moisture buildup and possibly mold development. If you are experiencing this level of damage, you may want to call a disaster restoration specialist in the Norman, OK area. Hail storms can cause significant roof damage. Routine inspections of your commercial property’s roofline should protect you from any obvious issues like missing shingles. However, you may want to seek assistance for more thorough inspections for underlayment and sheathing damage. Smoke detectors can save your home and your life. 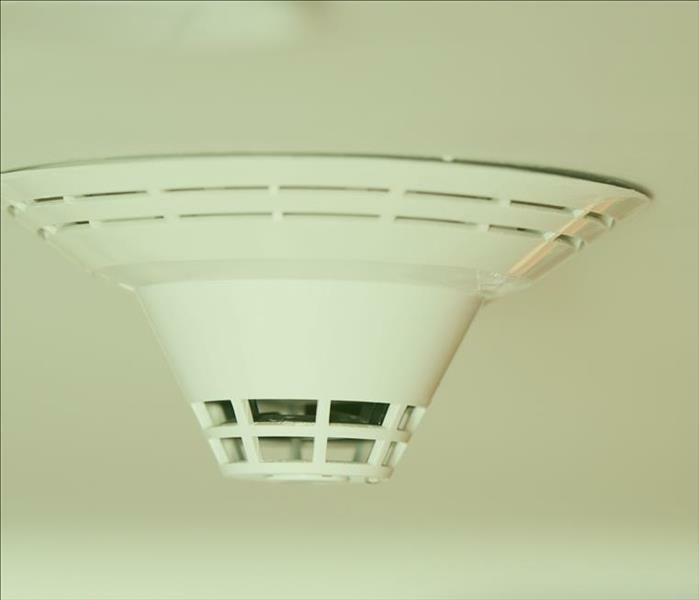 A fire or smoke alarm offers one of the simplest and most affordable ways to protect your home from fire damage. But to protect you, they must be in proper working order. Here are a few tips from the experts to help ensure the detector in your Etowah, OK, home is in top condition. These sobering facts make it clear that you need to have a smoke alarm and make sure it works properly. How often you check your alarm depends a lot on the type you have. For an old-fashioned one powered by a 9-volt battery, be sure to replace the batteries every year. A lithium battery-powered alarm won’t need its batteries touched for a decade, while an alarm that’s hard-wired to your home’s electrical system will likely have a backup battery. As with a standard 9-volt alarm, that battery should be replaced annually. Beeping is one of the top signs that you may need to replace the battery. Press the test button on the alarm to see if it’s still working properly and if not, replace batteries promptly. Like most things, these devices have an expiration date. Experts recommend replacing all smoke detectors, regardless of the type, every decade for maximum effectiveness. 4/12/2019 - Why Does Mold Smell?